Welcome to Adams Autoworx – Castro Valley Infiniti service and repair specialists. Adams Autoworx is the premier Castro Valley auto repair center, and we provide Infiniti owners with superior auto service experience. Our shop provides a full gamut of Infiniti services – from minor oil service, to advanced diagnostics, to major repairs. Whatever ails your vehicle, our ASE nationally certified Master Technicians will diagnose it, fix it, and get your vehicle back on the road. 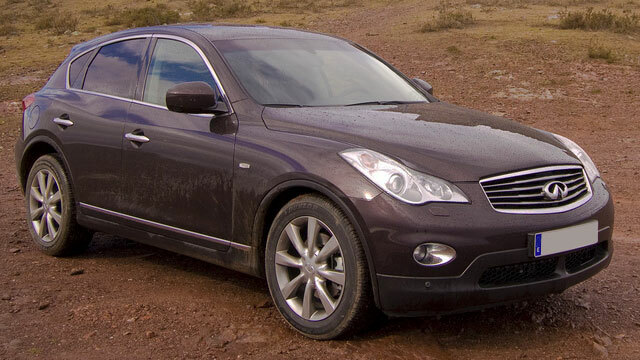 Driving an Infiniti is a luxurious experience, and there is no reason why getting it serviced should be any different. At Adams Autoworx we’ve removed the inconvenience from the usual vehicle servicing process. Adams Autoworx, being a full service Castro Valley auto repair shop, can provide a wide range of services – whether your Infiniti needs electrical system diagnostics, suffers engine misfire, needs timing belt replacement, AC system repair, rough shifting, water pump repair/replacement, fuel pump replacement, shocks and struts, coolant leak repair, A/C recharge, radiator replacement, check engine light diagnostics, clutch repair, transmission service, serpentine belt replacement, oil leak repair, battery replacement, brake pad replacement, or sensor diagnostics, our technicians have up-to-date training and state-of-the-art equipment to get your vehicle repaired and back on the road – usually the same day. Our nationally ASE certified technicians can diagnose and repair you Infiniti with speed, utmost professionalism, and top quality. For your convenience, you may schedule an appointment online, or simply give us a call. We are looking forward to serving your auto repair needs – Adams Autoworx is your Castro Valley dealer alternative.